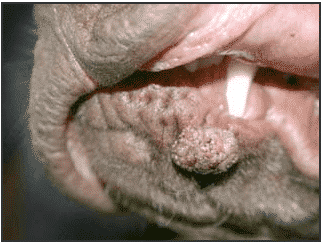 Canine Oral Papilloma Warts, associated with COPV, are characterized by cauliflower-shaped growths within or around the mouth of the dog; but, they can occasionally develop on the skin and around the face as well. These warts tend to grow and multiply rapidly. The underlying papilloma Virus is contagious and can be contracted in communal settings like dog parks, kennels, grooming facilities or anywhere dogs are in close contact. The likelihood of contracting this virus is higher in young dogs where immune systems are still developing, but older dogs or dogs with compromised or under-performing immune function can be highly susceptible as well. The increased incidence of COPV wart issues in recent years is likely due to the continued rise in widely available, and very appealing communal settings, such as dog parks, doggy daycare, etc; wherein, the opportunity for the virus to spread is much greater than where dogs are restricted to the home environment. Most Vets dealing with Canine Oral Papilloma Warts (COPV) may recommend removal by surgical method (excision), freezing or burning. Or, it may be suggested to just “leave it alone, and watch it”, with an explanation that the growths may go away in 6 months or so. However, such invasive answers don’t really take into account the ‘viral nature’ of the problem; wherein, the chances of reappearance are very likely. Nor do they take into account what we often hear from pet owners – that this problem has the potential to spread rapidly around initial mouth and tongue areas, or even progress into the throat where things can get more dangerous quickly. Such growths in the throat can make swallowing very difficult for the pet. This is why taking an approach that helps the body deal with the root-level nature of the problem, is so important. Think of it from this example: It’s like trimming a weed vs. pulling a weed. If you are able to pull a weed, root and all, the chance of re-growth is very slim. But if you simply trim a weed leaving it flush with the surface, it may look great for a time, but you know there is a very good likelihood that it will be back. Why? Because the root was left intact. The answer to COPV is not trimming it off, but helping the immune system root it out. The good news: The simple NZYMES® approach is quick, safe, and highly effective. The NZYMES® Papilloma Program is easy to follow and accomplishes the desired goal using the NZYMES® Papilloma Kit. This comprehensive Kit supports and aids the body’s own efforts to deal with the challenging COPV, while also providing effective help to shrink troublesome oral growths. The Kit includes 2 FREE products; the first is a free plastic syringe for oral dosing of the liquid supplements needed to support the battle with Papilloma virus. The other free item (as a BONUS), is a complimentary bottle of our special Antioxidant Treats, which are so famous for their involvement in getting paralyzed dogs up and walking/running again. The program is safe and easy, and our success rate is very high. While results may vary, this is based primarily on the underlying condition of the pet in question. Overall, we expect a 1 to 3-week turn-around for most pets; however, it is important to keep using the products to continue strengthening the pet’s immune function for the weeks and months following. 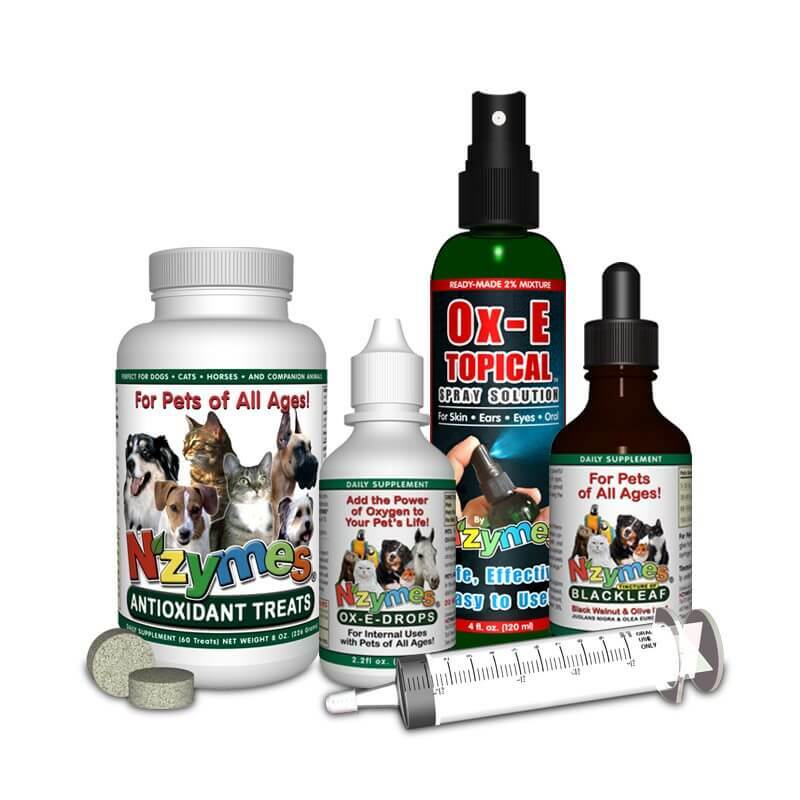 This NZYMES® all-natural Program has helped many worried dog owners breathe a sigh of relief when faced with papilloma growths in their canine friends. We are very thankful for, and often encourage our customers to photograph their pet’s progress. This serves two purposes. First, it helps the customer to clearly track the progress of their own pet. Secondly, their experiences are very often able to help others who are desperately looking for answers for their pet. We want to thank you for your time and consideration today. If you are here because of a COPV challenge, we understand. The NZYMES® approach is always geared towards getting after root-causes when it comes to health issues. Health challenges like COPV are often able to be put to rest by simply strengthening the body’s own natural immune function. In a nutshell, that’s what NZYMES® all-natural products are all about. Your Complete Satisfaction is Covered by our Money-back Guarantee! Addie’s Story: The first sign of warts or oral growths appeared on March 8 on the outside of her mouth. Addie was about 8 months old. The growth continued to enlarge and then spread to the inside corners of her mouth, to the back of her throat and even on the side of her tongue. It was very disgusting and not unlike some of the photos of severe cases that I investigated. Our veterinarian said it would probably go away in a couple of months, but by the middle of May, it seemed only bigger! Can Dog Warts Spread, are they Contagious?